You are here: Home / Online Jobs / My First $100 in Email reading jobs without investment ! Before I getting you into the deepest part of email reading jobs, let me tell you yes it’s possible to earn $100 by starring Email reading jobs without investment. For the last couples of monthly I am doing so and today I am going to discuss how actually I made my first $100 and why should I quit doing this free Email reading job. So what is an Email reading job? 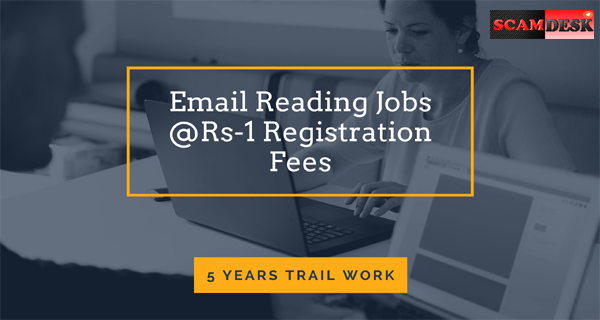 Email reading jobs sounds like you have to read email through your mailbox and get paid after completing the process interacted on email body. After sign up Gmail, You have to register into a genuine Email reading jobs company. Most of the India online jobs company are scammed so by avoiding them you can register US base websites and enjoy earning into your PayPal account. Now they will send 10-30 email per day into your inbox and you have to open those email to earn money. Each of new email may content survey, view ads, play game or purchase something from eBay or amazon marketplace. After completing each task you will accommodation to earn money. How to start email reading jobs without investment? Tips: Make sure to Read and understand term of service very carefully before you’re getting stated, we are not guaranteed about your earning on any third party website here we meson. Hence, while checking out the term of service if you have any doubt, and then don’t hesitate to contact us (scamdesk.com) for clarification. How to work at Email reading jobs? 1st Step: make yourself register for any of above meson free Email reading jobs and wait for activating your account. 2nd step: Now login into your account and start reading email. Each day you will receive a lot’s of email and you will be began on that moment , now you have open those emails and follow the instruction as written on email body. So, which type of task you have to complete for email processing? Refer people into the new scheme. Install new software or Android Apps. View ads or click on ads. Share and tweet content on social media. How much difficult does it to earn $100? Recommend: How to start your own email processing jobs without investment! To earn money I have to shop a lot of item online that is unnecessary for me. Over all waste of money on chip products. I have to destroy my computer by instating spam software and my phone get stuck after installing few recommend apps while I working in email reading jobs. A survey takes 10-15 mints and most of the time it’s not- completed due to I am from India. WTF! I hate playing game, and you know what I have to win and keep instating stupid game to earn money. Why should I share scam post into my personal Facebook and twitter page in order to earn few commissions. I guess you guys are agreeing with me! Are you? Let me know in the comment section. Next to Read: Start earning of 25K/m your own SMS Sending Jobs without any Investment! For the last couple of month I have been spending 5 minutes of my daily work schedule on clixsense and manage to earn $25+ , this a absolute free and anyone can do this job without any investment? Are you interesting to work here? Let Join by Today! Is clixsense working now, 26/1/17. I want to join. Kya mei mobile se yeh work kar sakti hoon. Clixsense kab tikh hogi, mere email id me message kar dijiyega.